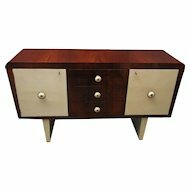 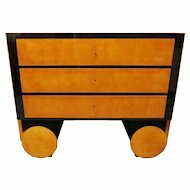 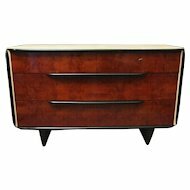 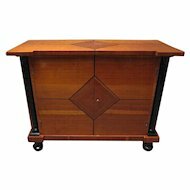 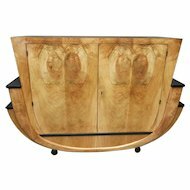 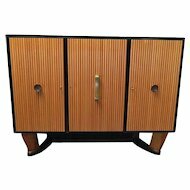 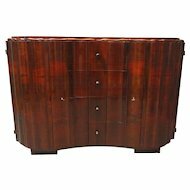 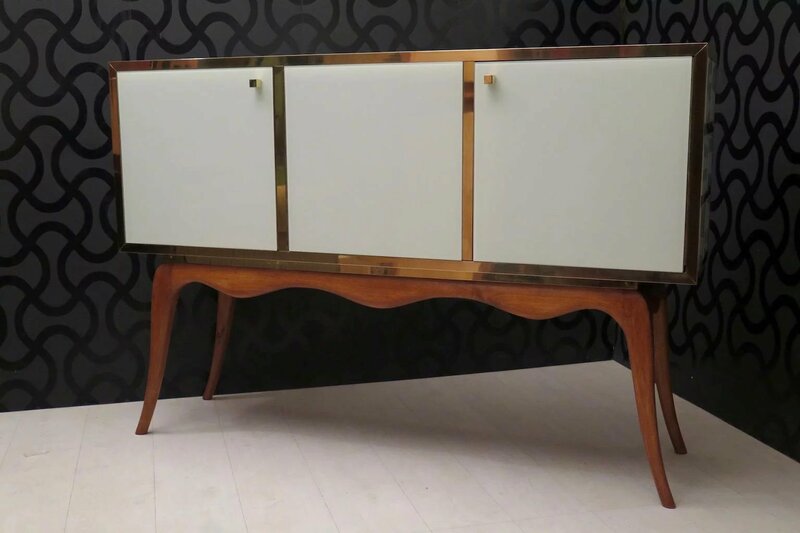 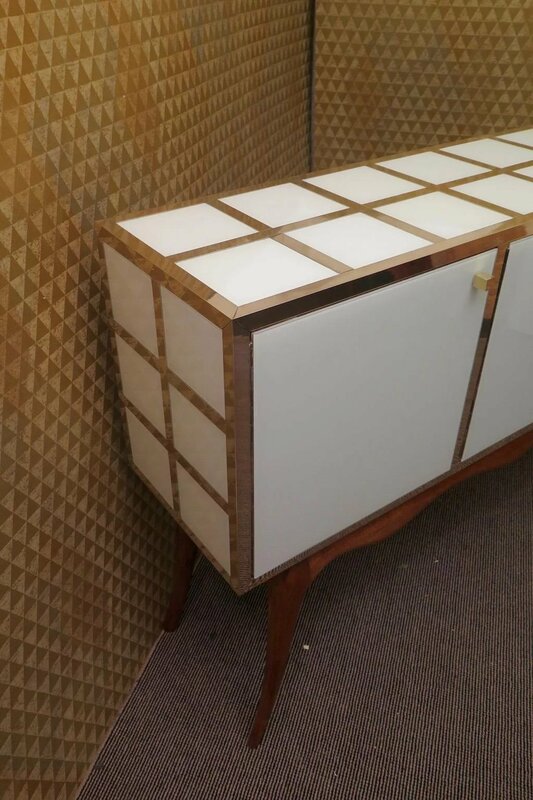 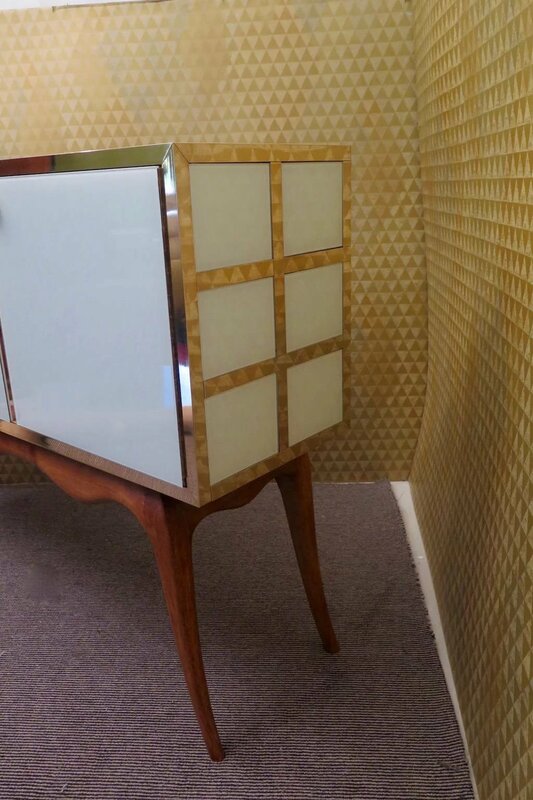 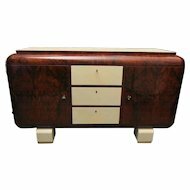 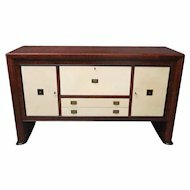 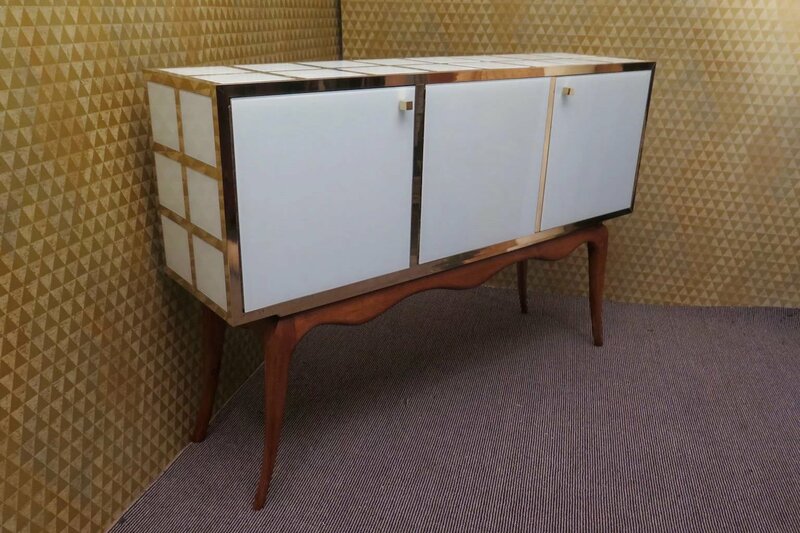 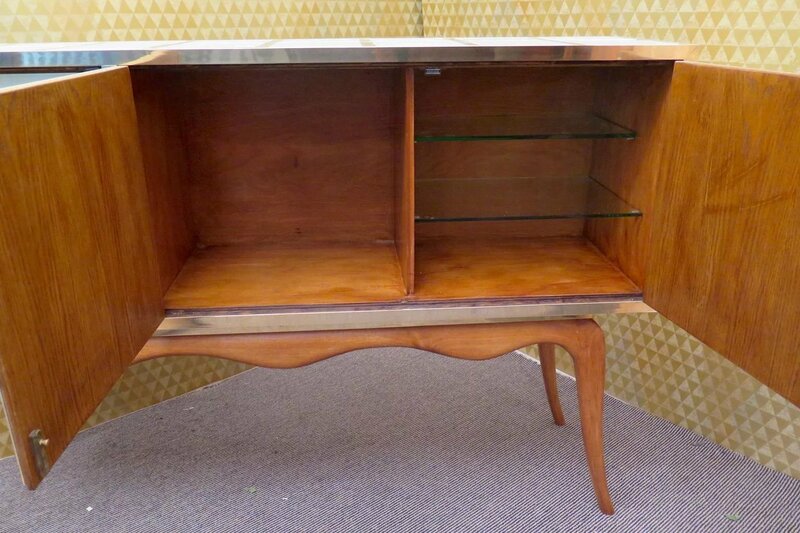 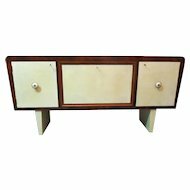 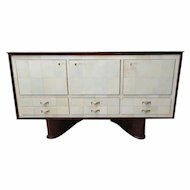 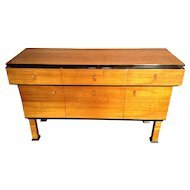 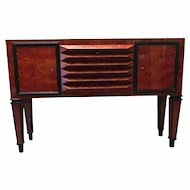 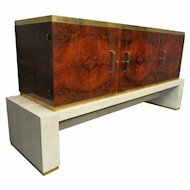 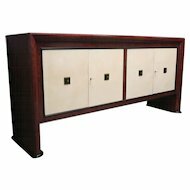 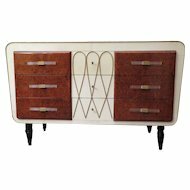 Lovely Venetian sideboard 1950s, body in white lacquered glass and brass edges, the leg is in cheerywood. 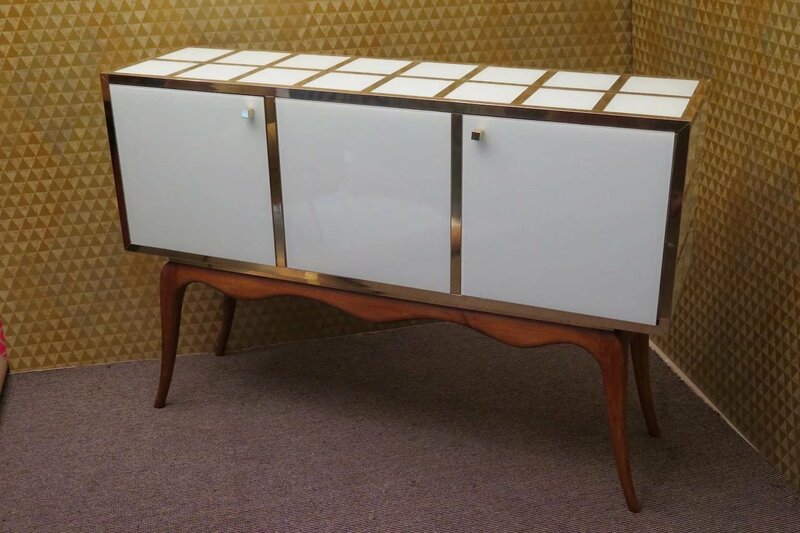 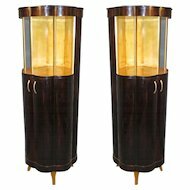 Its particular shape, a big glass box and brass over a beautiful leg movement. 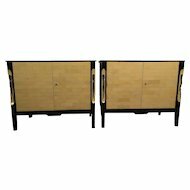 Three doors, two with shelves and one with internal drawers. 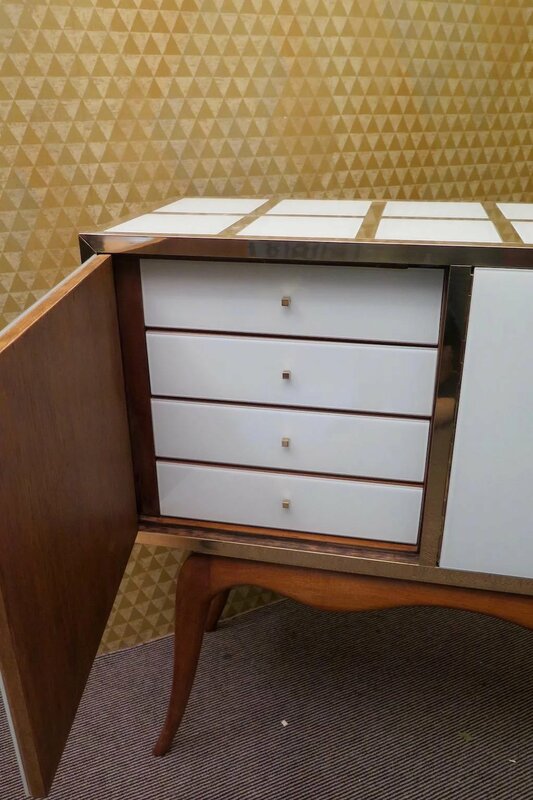 Also the drawers are finished with over the white glass.